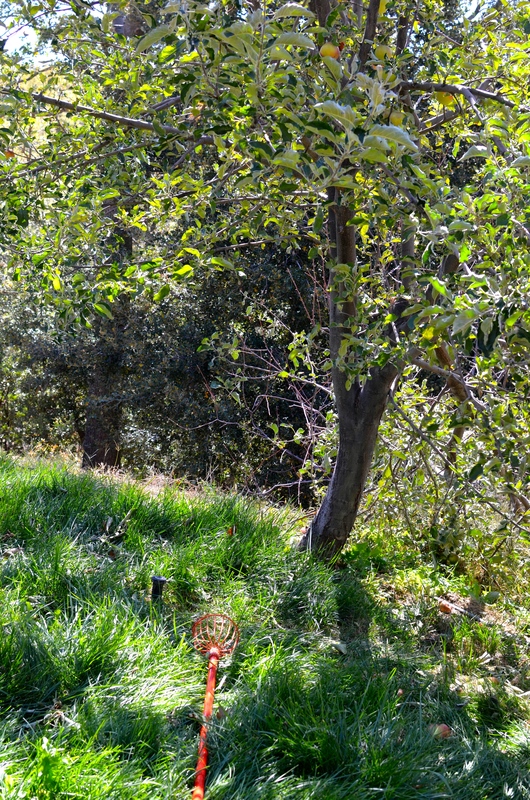 There are lots of interesting people living on this mountaintop. 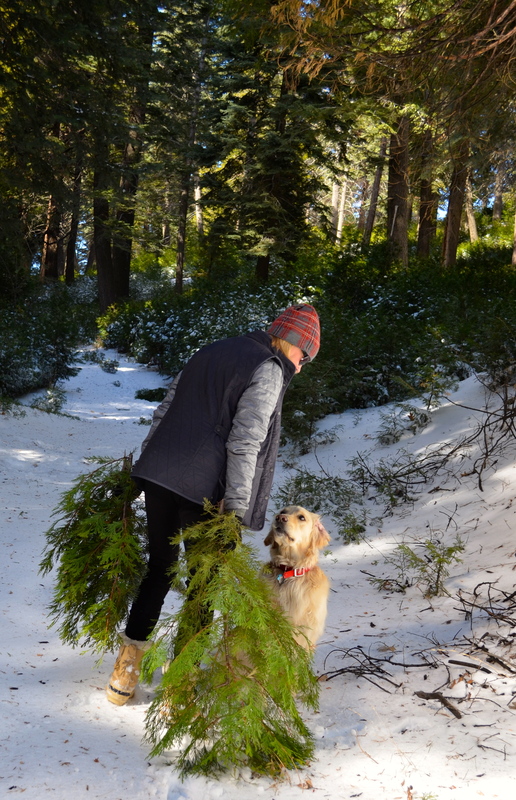 One of them is my friend Nancy Corbet. 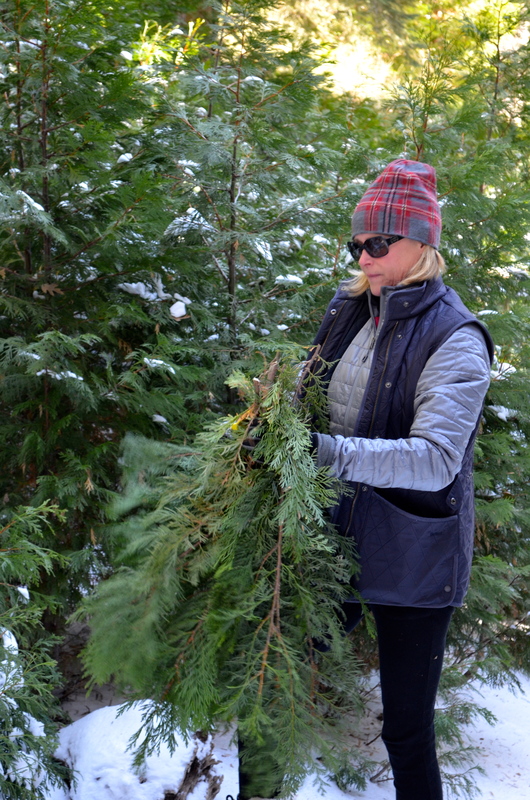 I introduced you to this former fashion model turned mountain woman in a blog post here when we made Christmas wreaths together. Nancy has many talents, one of which includes the growing of an orchard full of apples for the making of hard apple cider. A couple of weeks ago Nancy and her husband Steve invited me to join them as they picked apples and made apple cider. 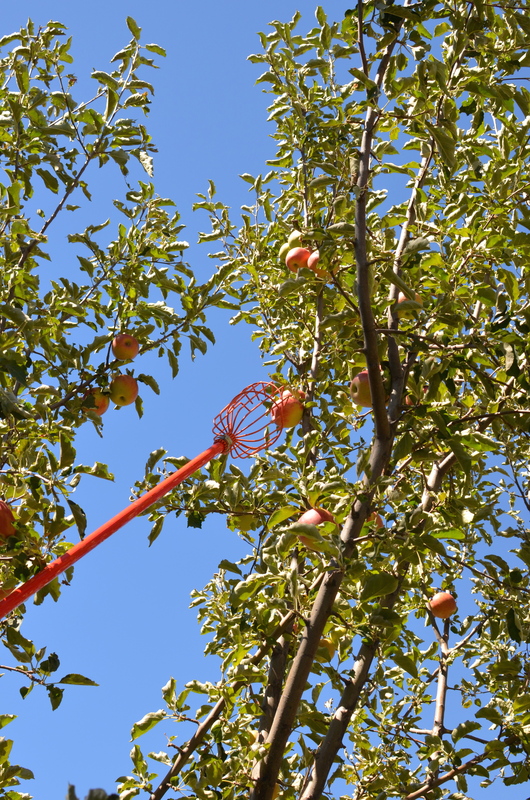 On a beautiful fall afternoon I watched as Nancy used a long fruit picking pole to harvest the many apples that were far out of reach. 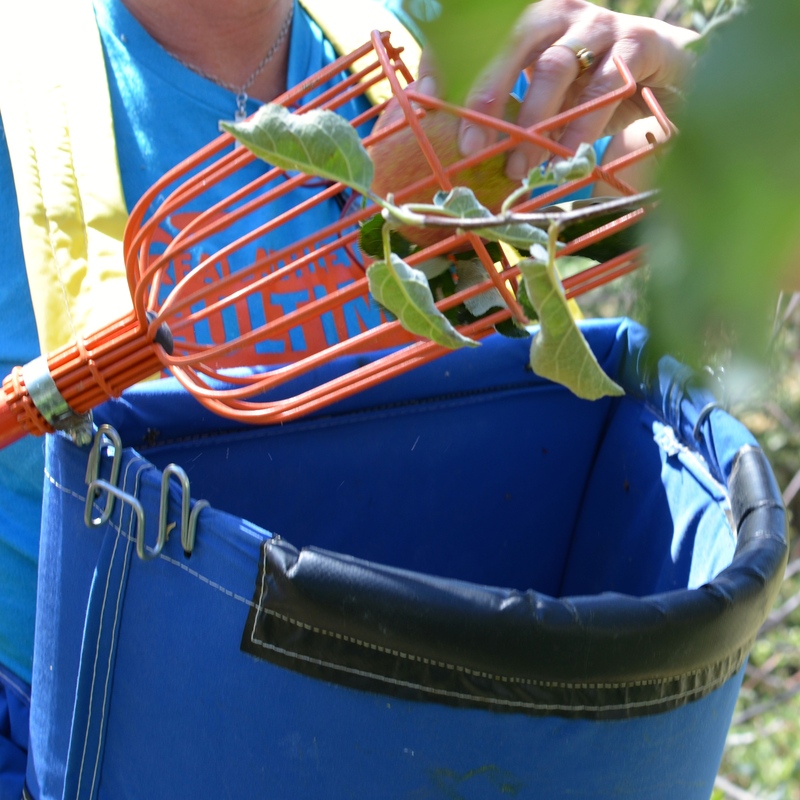 She then transferred the beautiful apples into a harvesting bag that she wore. 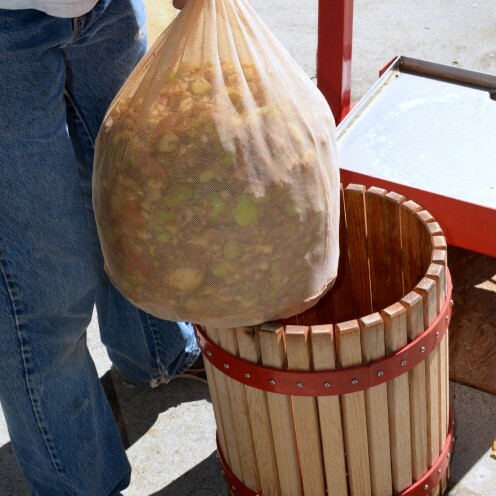 As the harvesting vest became full the apples were transferred into these totes, where they were rinsed and transferred yet again into another bucket. 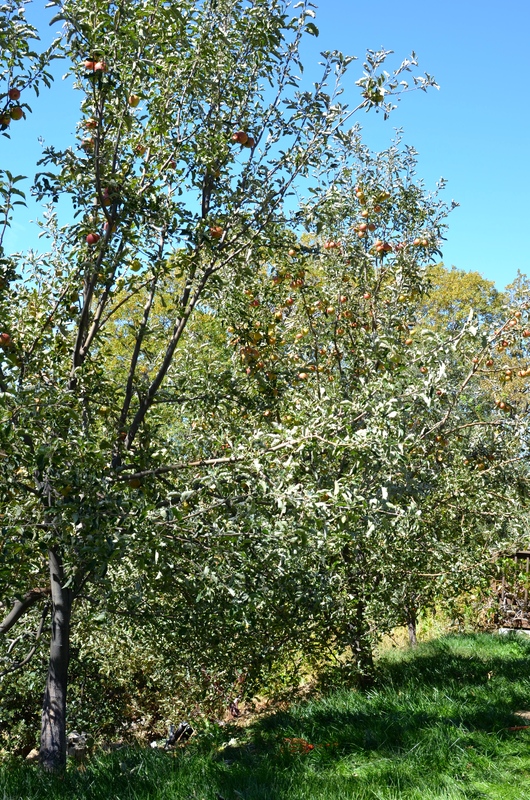 Nancy and Steve grow many varieties of apples on their 3 acre property. 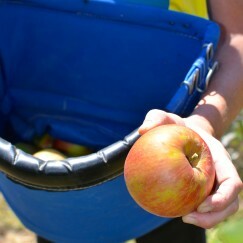 That day we harvested the Jonagolds which are a cross between a Jonathan apple and Golden Delicious. Nancy said they make the best hard cider. 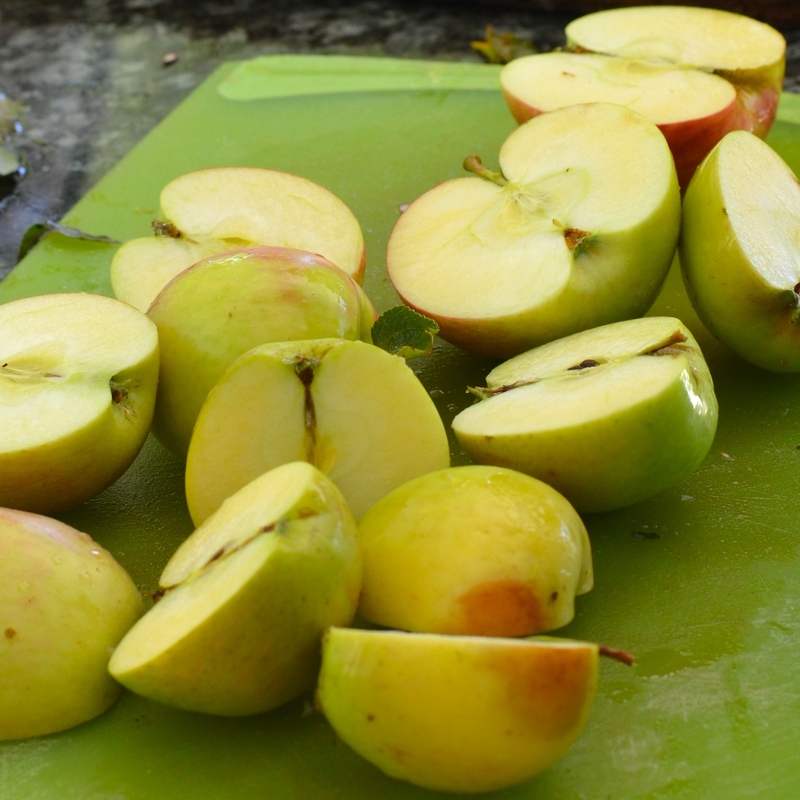 I helped by cutting the washed apples into halves or quarters, depending on their size. 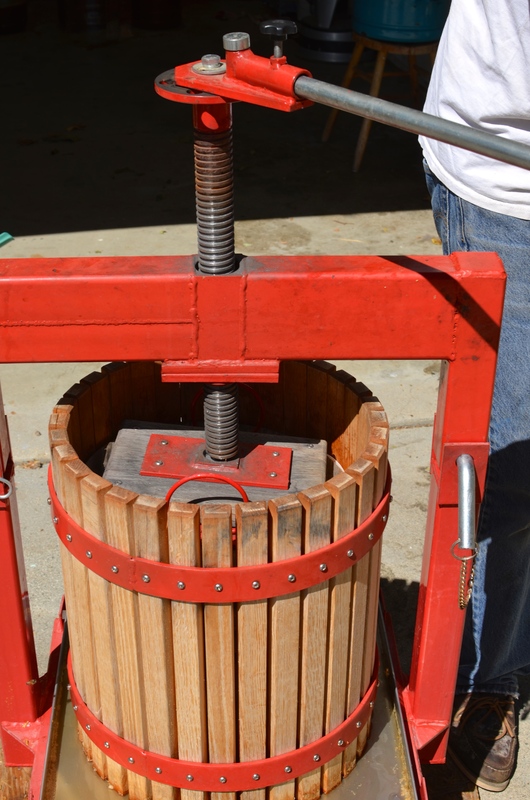 The cut apples were then transferred into an apple grinder. 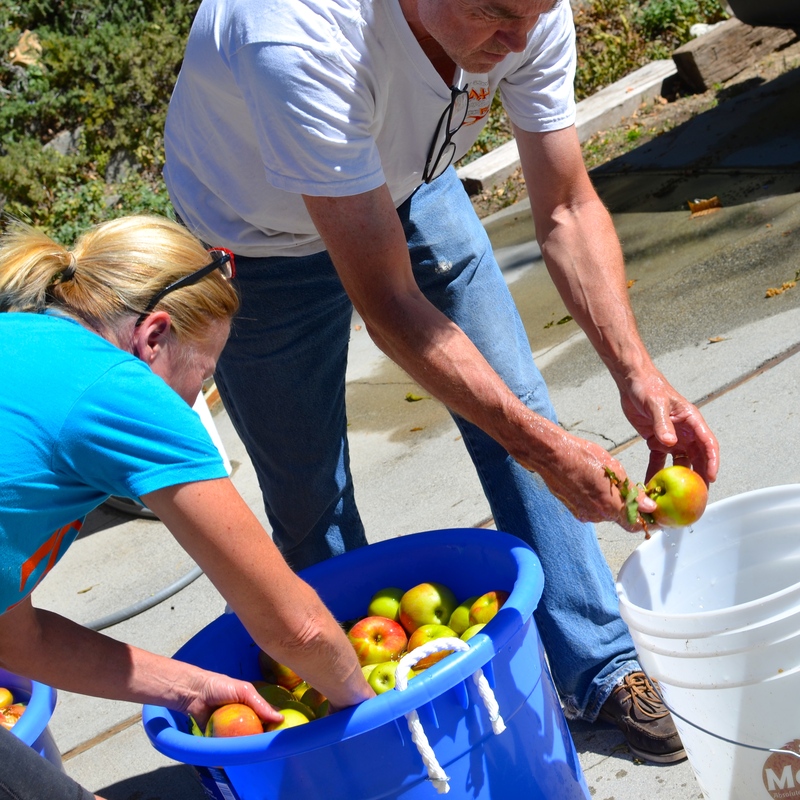 ER physician by night, hard apple cider maker by day, Steve is a man of many talents. It took some strength and a good deal of effort to grind the many bushels of apples by hand. 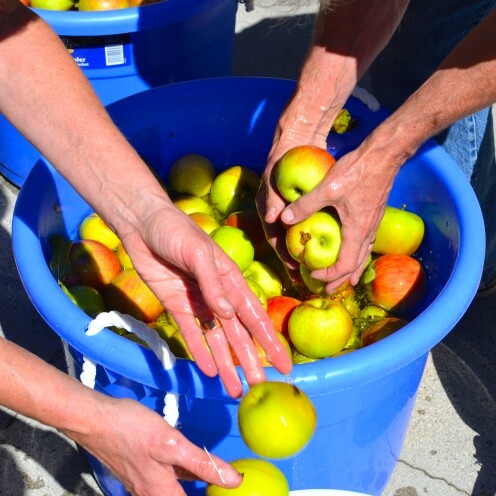 And today’s harvest was literally just a drop in the bucket. 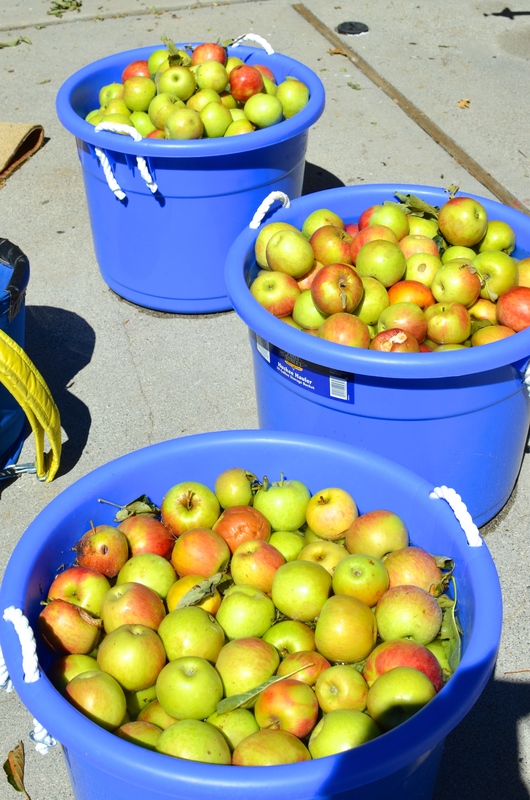 There were hundreds of pounds of apples still waiting to be picked. 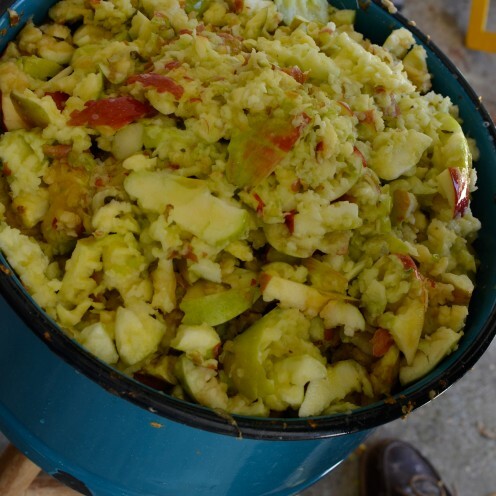 The ground up apples fall from the shoot of the apple grinder into an awaiting pot below. 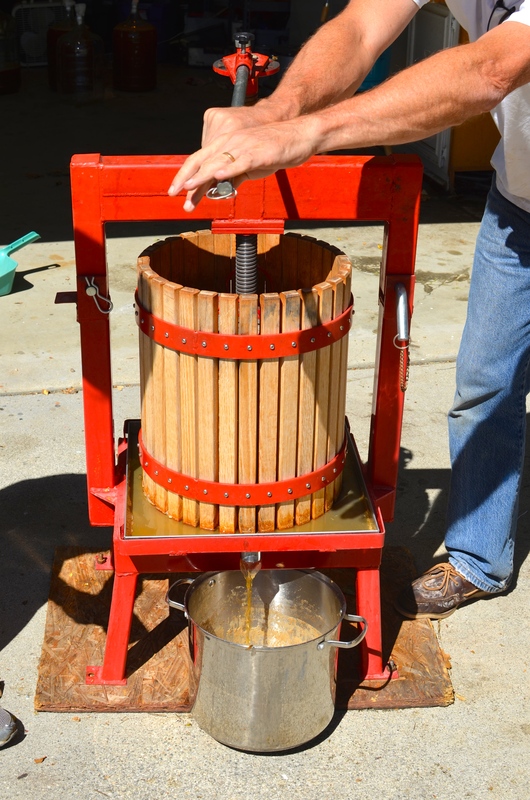 They are then transferred into the cider press which is lined with a special pressing bag. 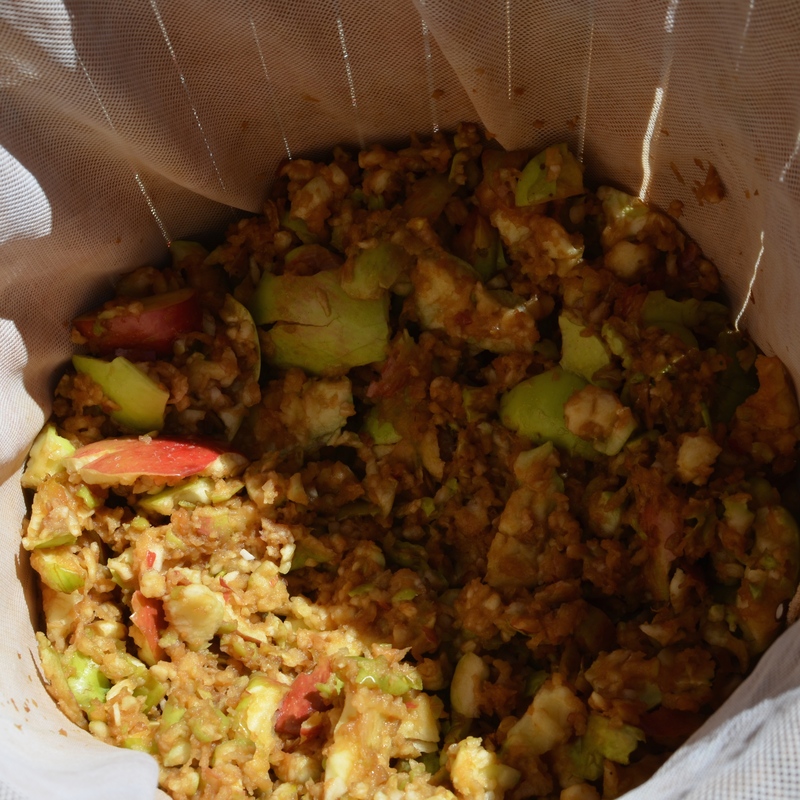 The pressing bag retains the pulp of the apples, but allows the wonderful juice to flow through. and began the pressing process, all done by hand. 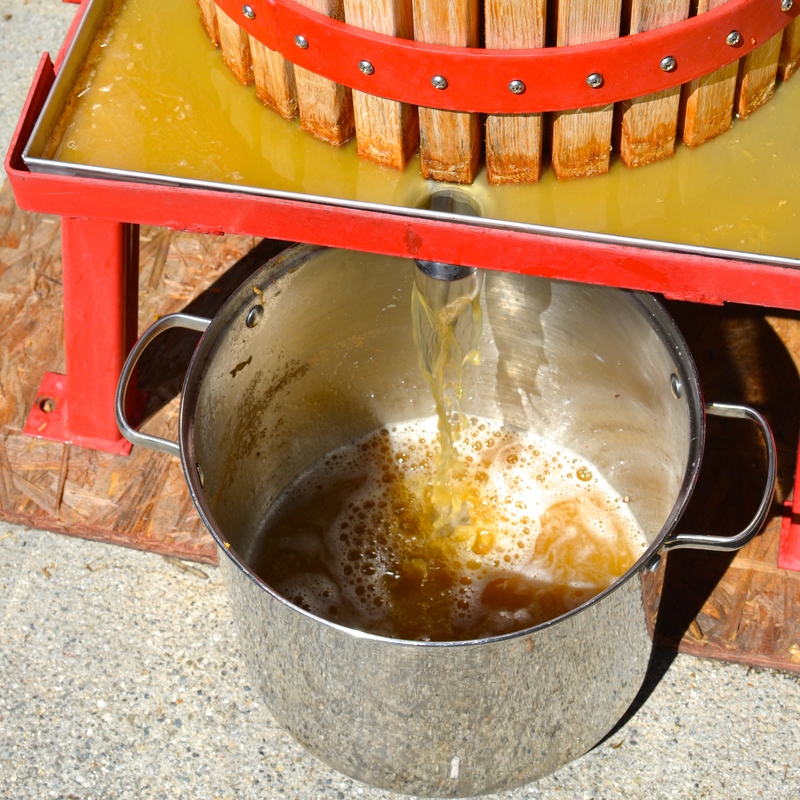 It was a beautiful thing to watch the amber colored juice flow from below. 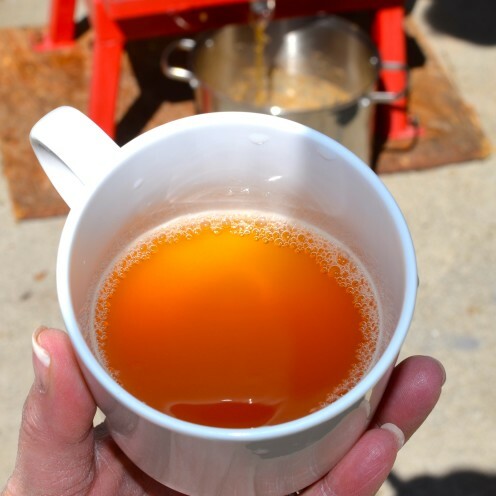 I was delighted when Nancy grabbed a cup and offered me a taste of the freshly squeezed juice. As you can imagine, it was delicious! She explained that there is always a jug or two of fresh apple juice in her refrigerator this time of year, but it goes bad quickly. 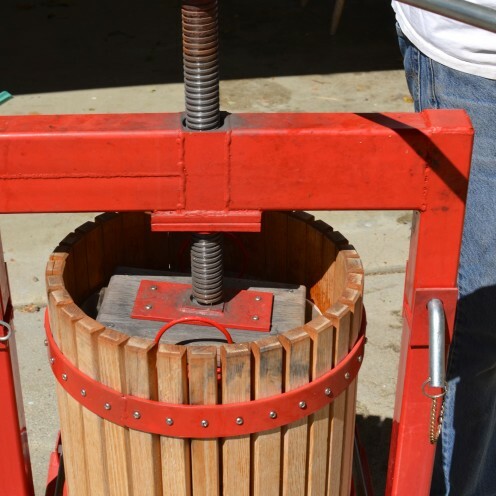 That’s why many years ago they decided to invest in the hard cider making equipment so that the fruit of their labors could be enjoyed year round. 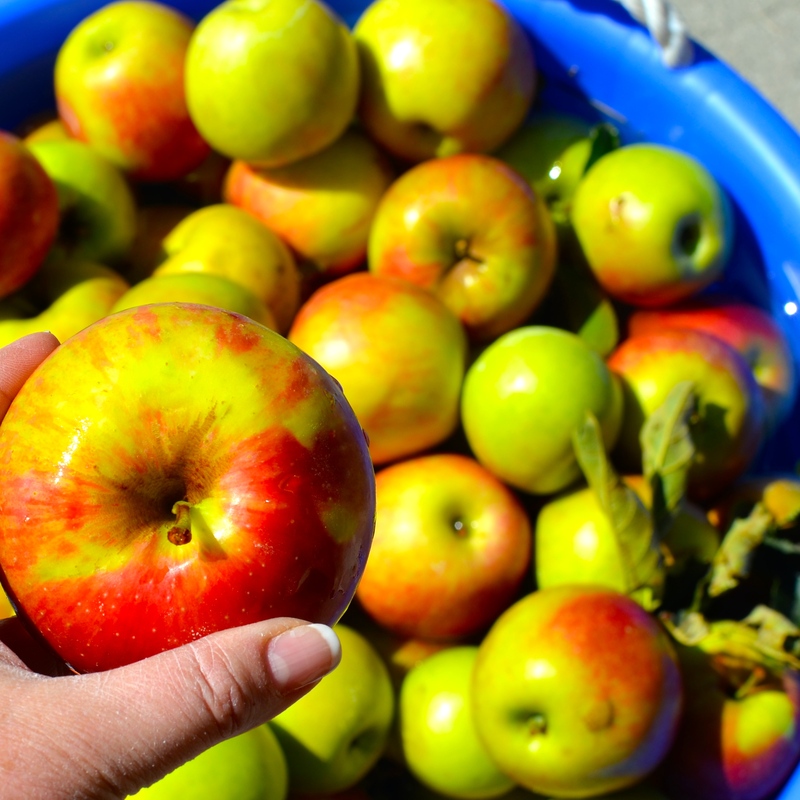 This is what the apples looked like after being pressed. 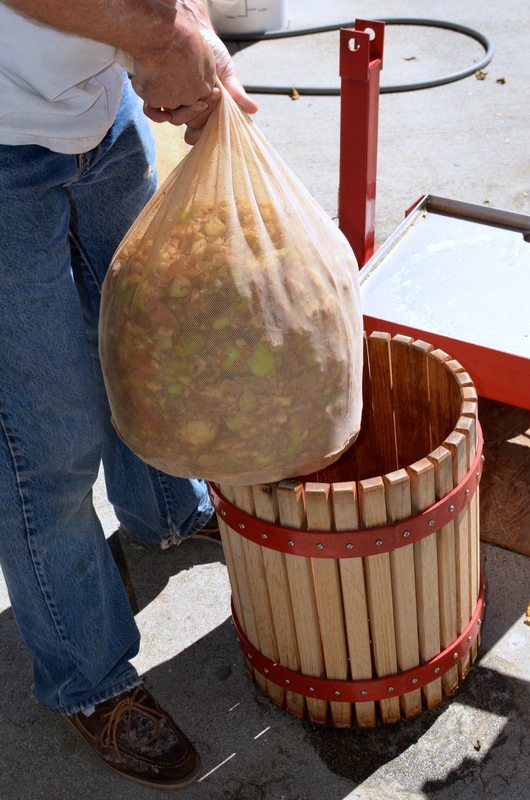 Steve then gathered up the pressing bag and dumped the apple pulp into yet another bucket. 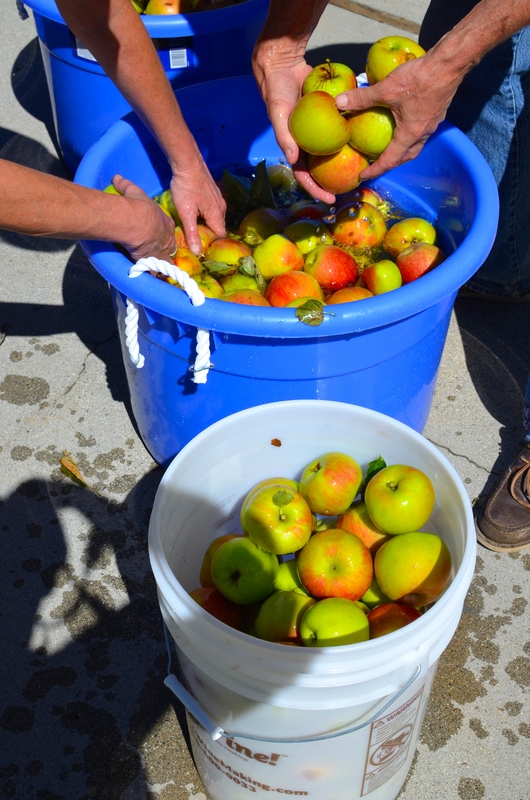 He saves the pulp to give to Nancy’s horses as a special treat. Nancy has very happy horses. What the horses don’t eat gets put into a compost pile, which is later used to enrich the soil around the apple trees. How fitting! 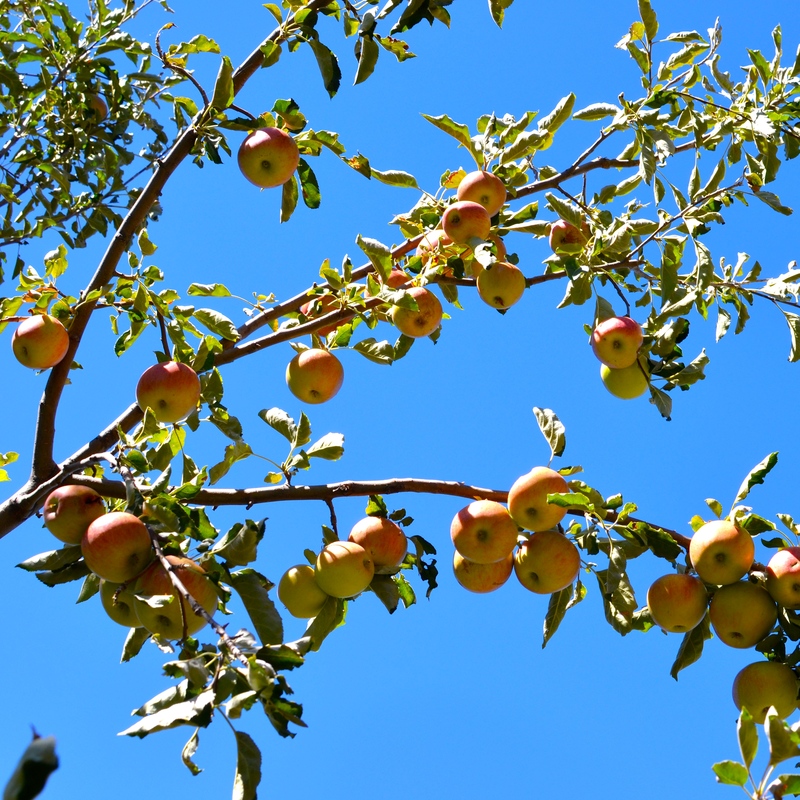 The cycle of life of an apple tree. 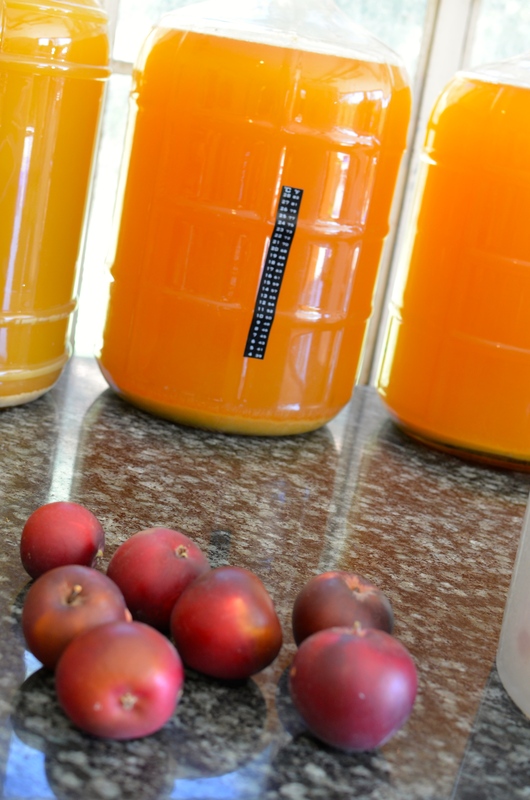 Next, Steve poured the apple juice into large fermentation jugs. 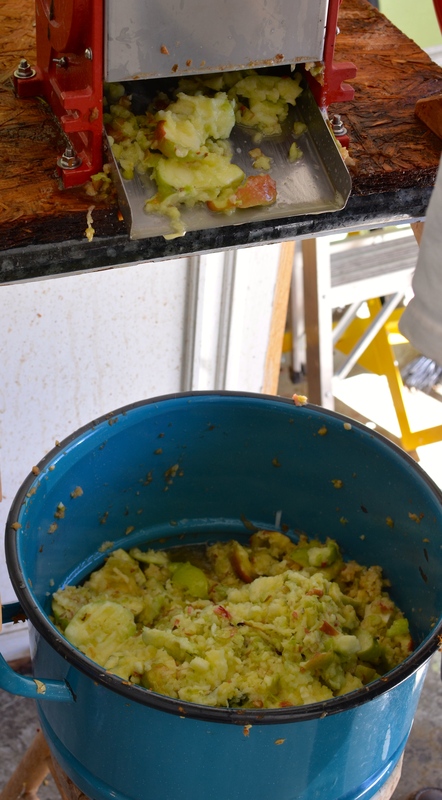 Paper towels were used as temporary stoppers to keep the many bees away that were enjoying the harvest as well. 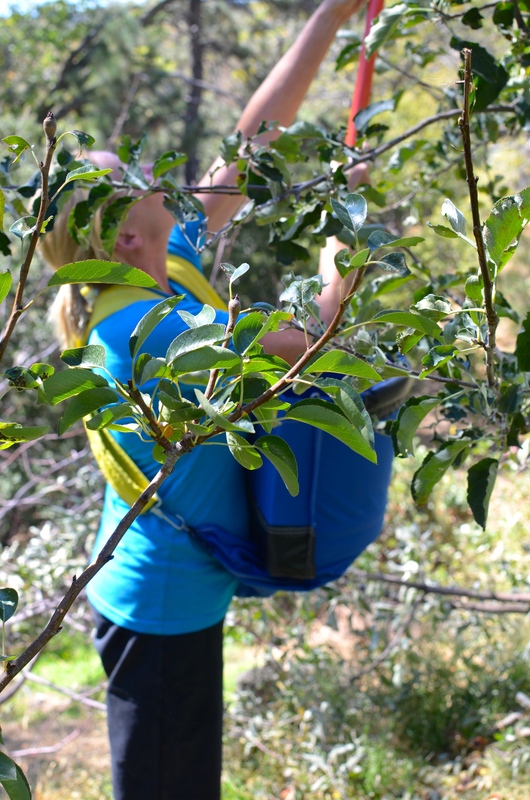 They buzzed around us as we worked, but were far too busy enjoying the apple nectar than to pose any threat to us. 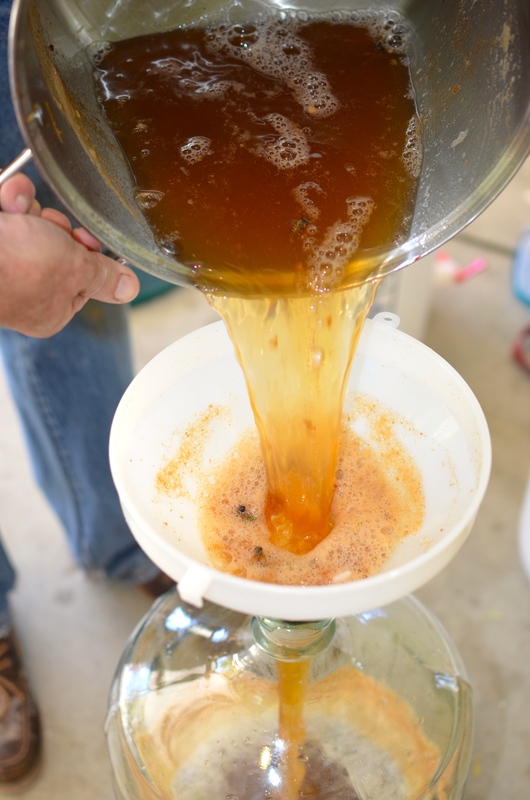 The funnel also trapped the bees that got too close for comfort and ended up swimming in the juice. 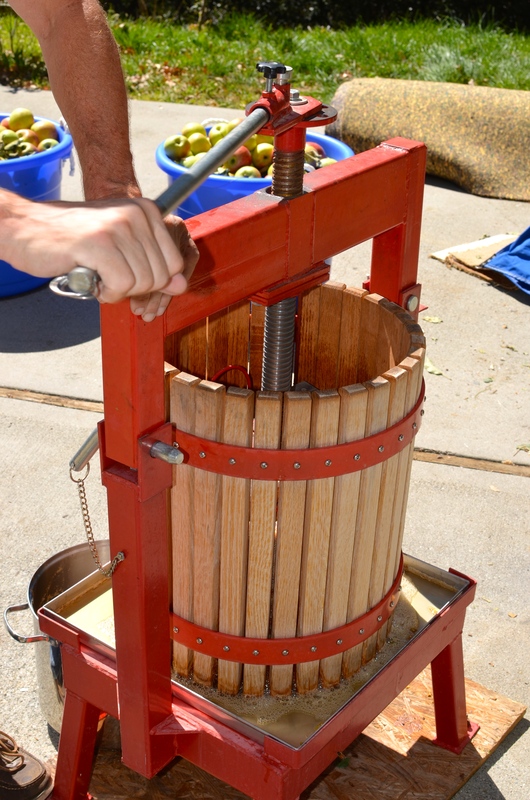 That prompted me to ask Steve about the sanitary aspects of hard cider making. 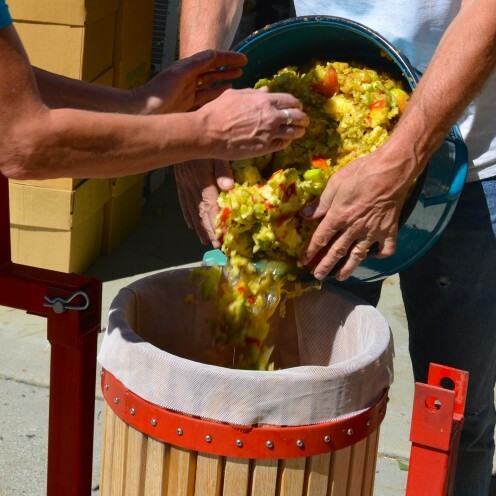 He explained that in the fermentation process a natural sterilization process takes place as well. 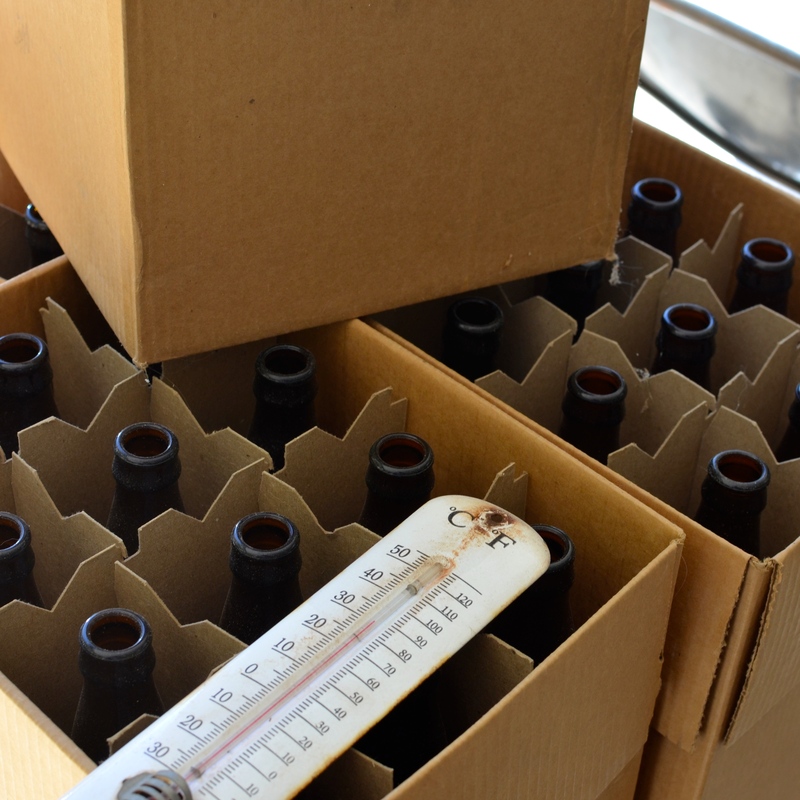 So the end result is a clean, sterile, hard cider that is akin to a pasteurized juice, but minus the heat normally required to pasteurize liquids. 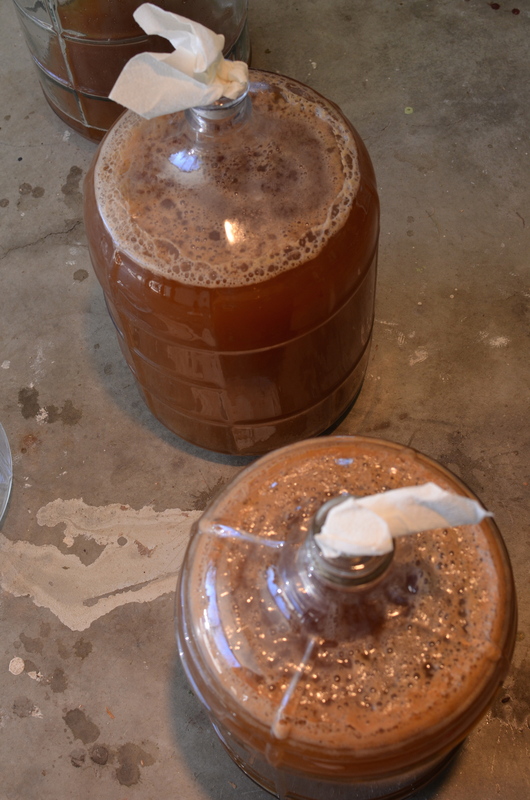 Finally a specially designed stopper and airlock gauge is placed on top of each jug. The stoppers are filled with water which allows gas to escape as the cider ferments, but likewise does not allow air to enter. 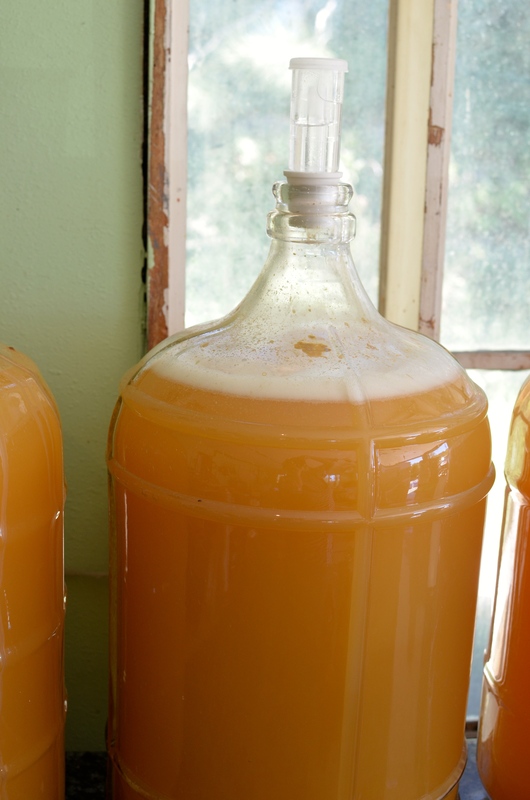 A special yeast is added which is what stimulates the fermentation process and turns the sweet apple juice into hard cider. Temperature control is also part of the process, so what are called hydrometer strips are adhered to the side of the jugs so Dr. Steve can monitor the temperature of his brew. 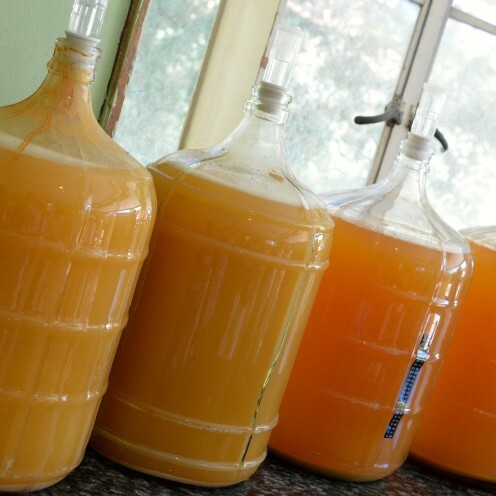 Eventually Steve will transfer the fermented cider into small glass bottles so that he and his family and friends can enjoy his delicious hard cider for months to come. So there you have it: THE MAKING OF HARD APPLE CIDER. 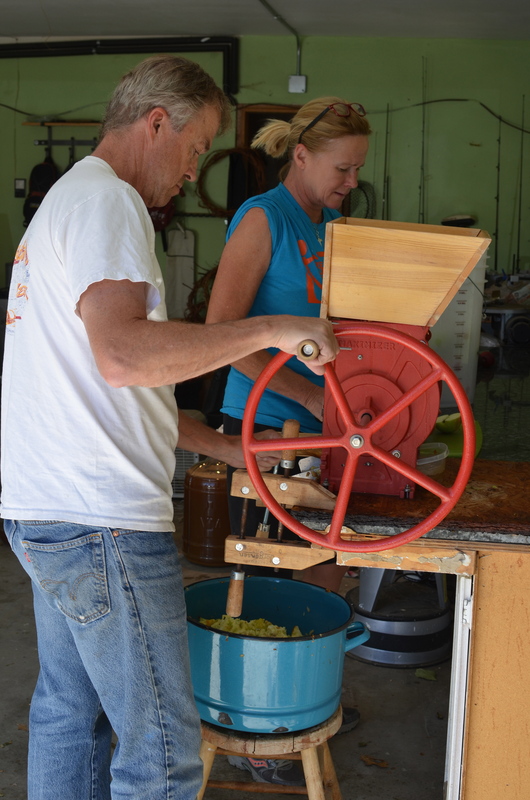 Cheers to my friends Nancy & Steve for inviting me to watch them make their wonderful hard apple cider.